The seeds of the Kirbas Institute were planted at Oxford University in the year 2000, when a Presbyterian Minister named Paul Kirbas was attending classes under Dr. John Kerr, an ordained Anglican Priest who was also a respected scientist. 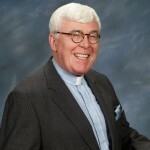 Realizing Paul’s interest and talents in bringing together theology and science, Dr. Kerr invited Paul into a PhD program under his leadership. Paul finished that degree in the year 2007. After receiving this degree in theology and science, Paul was in conversation with his long standing mentor, Dr. Ben Johnson of Columbia Seminary. 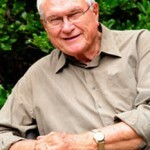 Dr. Johnson gave guidance for Paul to develop a vision for a unique ministry that would bring faith and science together as partners in addressing important issues facing our world. Ben guided Paul in establishing this new ministry, and the Kirbas Institute was born in the year 2009. Ben Johnson not only guided the birth of the Kirbas Institute, but also opened the door to the first main project that got the institute off the ground. He introduced Paul to the leaders of the Fetzer Institute in Kalamazoo, Michigan. The Fezter Institute invited Paul to create and lead a major conference that would bring faith and science together to explore the sanctity of nature. With Fetzer’s support, Paul brought together leading theologians and scientists from all over the world for the conference, which was held at the Fetzer Institute in 2010. 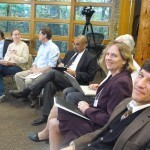 This conference led to the development of our first curriculum product, Sacred Place, Sacred Role. 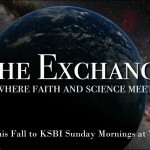 In recent years, the Kirbas Institute has relocated to Oklahoma City, and in partnership with the Westminster Presbyterian Church, offers a weekly TV show called The Exchange, Where Faith and Science Meet. A second curriculum product, Animals in the Kingdom, has been produced, and more exciting products are in the works. Plans are also in the works to bring The Exchange to a national network in the fall of 2016.